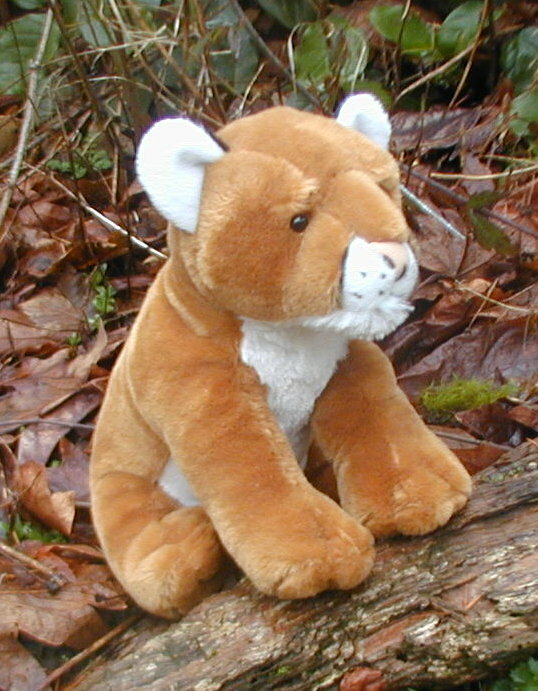 Add a Cool Looking Stuffed Toy Cougar, Puma, or Mountain Lion to your Plush Animal Collection. 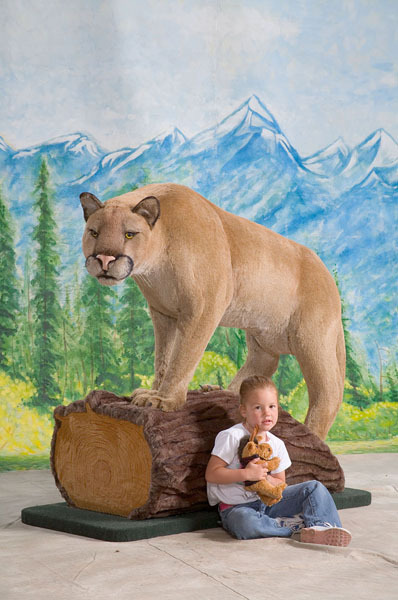 We have a big selection of Quality, Realistic looking Plush Toy Cougars or Mountain Lions. 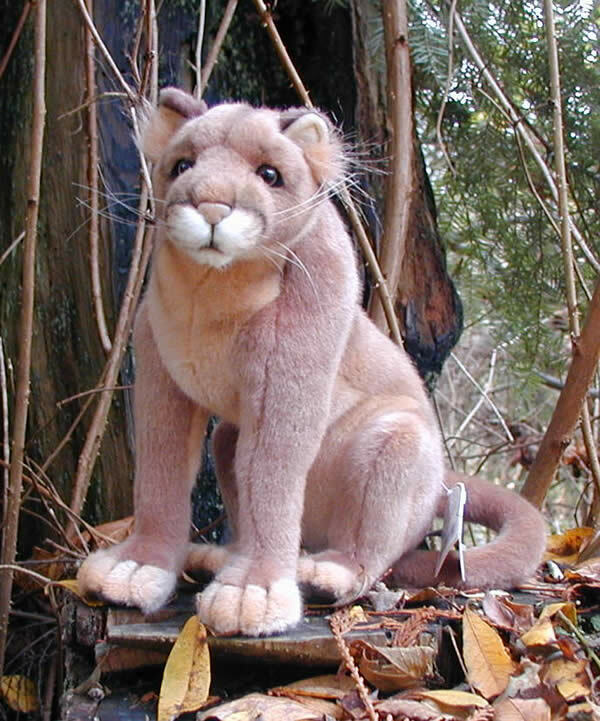 Cougars are known by many names such as puma, mountain lion, panther, or catamount. Cougars are solitary and nocturnal and seeing one in the wild is rare. The mountain lion habitat ranges from the far north of the Canadian Yukon to the southern Andes of South America. The Florida panther is a subspecies of the cougar. Despite the name ‘mountain lion’, cougars are neither lions nor limited to the mountains. The name Puma, is the genus name of the cougar, or puma, and originates from the Inca language. 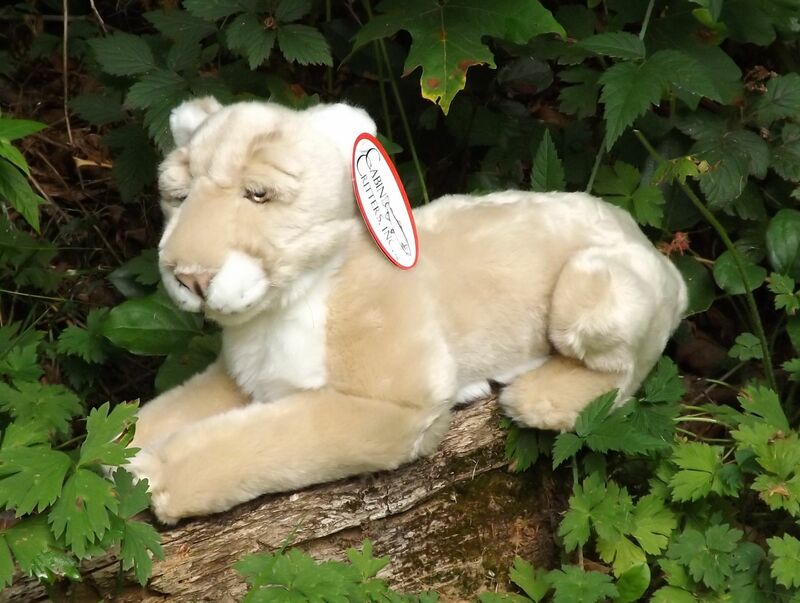 We have several beautiful stuffed animal cougars here in this section. 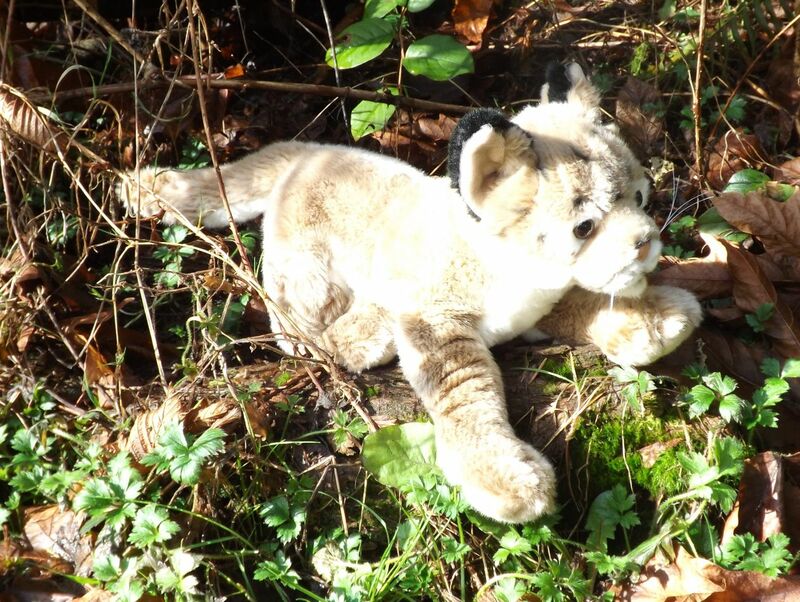 We also have some cute and cuddly plush toy puma or cougar cubs. 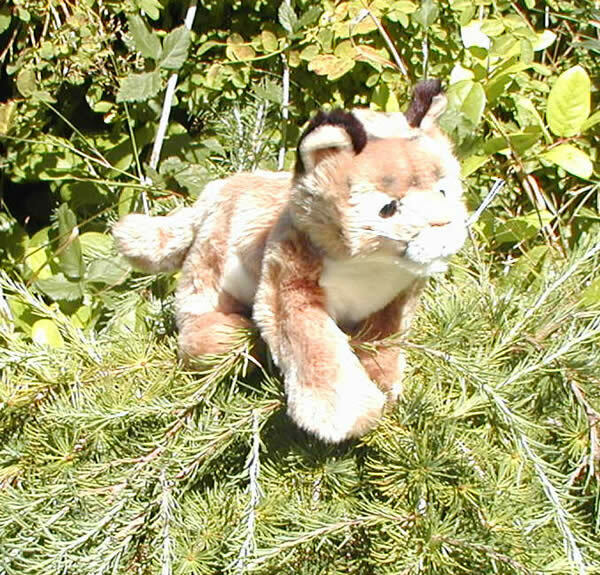 Click on the picture icons of each cougar animal to get a better look at the quality of these nice plush cougar, mountain lion, or puma soft toy animals.